Straightforward, crisp style allows for bold color contrast and optimum ventilation. Classic Style vents feature a slightly wider frame with more detail to enhance aesthetics. Our crisply-designed Classic Rectangle Gable Vents allow for bold color contrast and optimum ventilation. Vinyl gable vents are rich in color, and they are fade-resistant. Our vinyl gable vent will never peel or fade with time, and they are backed by warranty to ensure quality.Enhance the home on a functional and decorative level with the stylish Rectangle Gable Vent. 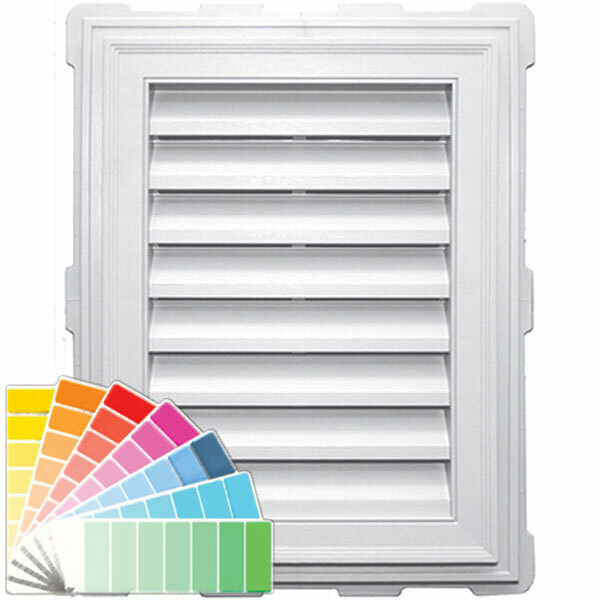 The vent features a durable construction and enhancing trim that will compliment any exterior. The rectangular vent measures 18" in width and 24" in height. It has a venting area of 140 square inches. The vent is crafted with precision to provide you with the best results in ventilation and appearance. It is moisture-resistant, fade-resistant and available in several popular colors.